Come meet K.C. 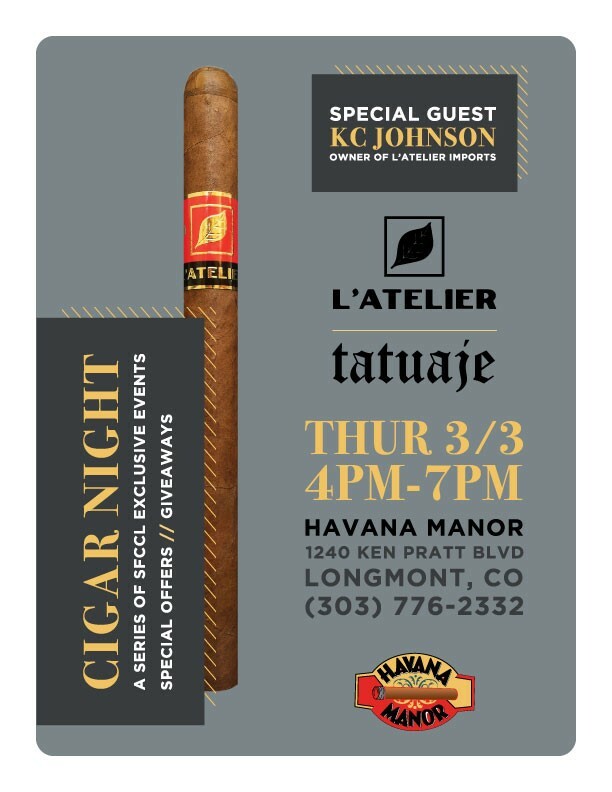 Johnson, Thursday, March 3rd, at our special Tatuaje / L’Atelier event. K.C. Johnson is the Co-Founder of L’Atelier Cigars with his brother Pete Johnson the Founder of Tatuaje Cigars. At this event K.C. will be launching the NEW La Mission from L’Atelier and the NEW Animal Cracker 550 from Surrogates . La Mission features a dark and rich San Andres wrapper leaf around a blend with Sancti Spiritus, the signature leaf used by L’Atelier. In addition to these special releases we will be offering event only specials on Tatuaje, L’Atelier, SurrogatesÂ and Fausto cigar lines, including Tatuaje TAA and L’Atelier Extention de la Racine. â€¢Buy 3 Boxes and receive 3 Special Edition 3 packs, “Tatuaje Swag Bag”, Tatuaje Dominoes, L’Atelier ashtray and Tatuaje Area Fumado sign. This entry was posted in Events and tagged Animal Cracker 550, Cigar Event, L'Atelier, La Mission, New Release, Tatuaje. Bookmark the permalink.